When you are out in the field, whether it be camping, hiking, on a military exercise, or some other outing you will be far from home. In that situation you always will need a knife for some activities. Keeping those knives sharp is important. Also those who work in a field will find it difficult to carry a big knife sharpener all the time. 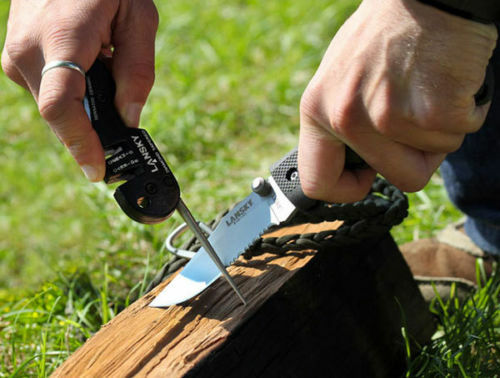 For those who like outdoor activities and work in the field there is a pocket knife sharpener. It is small and portable like a pocket knife and some even made to imitate a pocket knife. Despite being small, those knife sharpeners are perfectly capable to sharpen any types of knives. There are several commercially available portable/pocket sharpeners available to the adventurer today. This article summarizes % of such portable knife sharpeners. Almost all knife sharpeners are bulky. The reason behind this is that to properly sharpen a knife they must be of a certain size and otherwise they will not be effective. Though this makes them big and difficult to carry with you to outdoor activities. However, this is not the case for Pocket Pal from Smith’s. It is still a full two stage sharpener with coarse grinding and fine polishing. It is also very cheap at just $7.99 which is amazing. There is a flip-out diamond rod on the end for honing both serrated and standard blades. The sheath is made of nylon that allows you to attach it on a belt. There is also a lanyard hole for you to hang it around your neck or wrist. This is a small sharpener which is easy to carry around, very practical and cost effective. 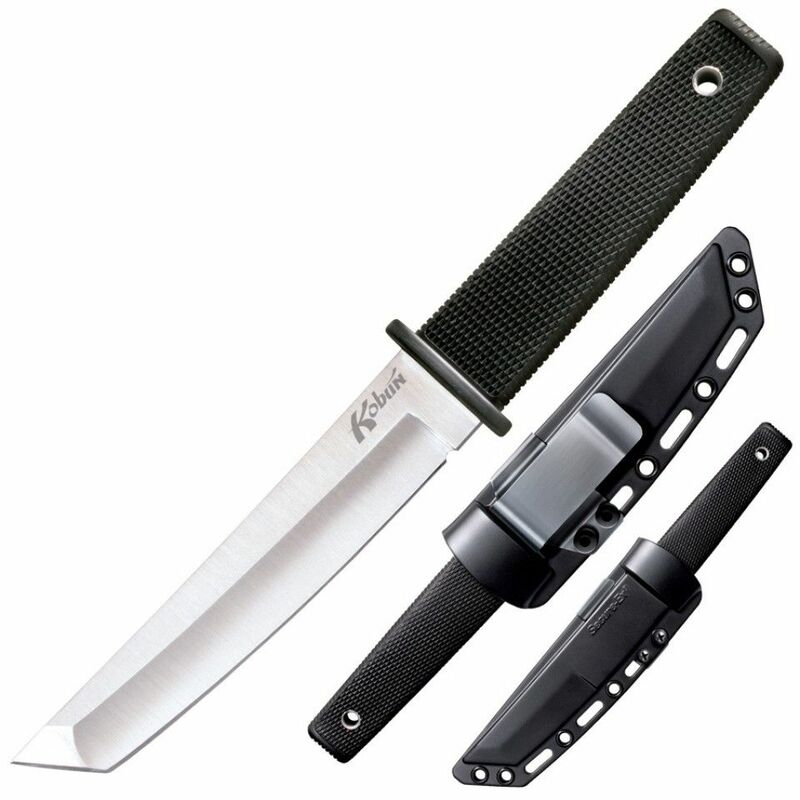 Lansky Blade Medic is perfect for reconditioning and maintaining a knife with the ceramic serrated knife sharpener that allows you to get inside the smallest serration. This combination allows you quickly and easily sharpen the knife and polish it on the g. The casing is made of metal and that is why it feels much better than other plastic ones. This adds sturdy and strong feeling to it and the sharpener lasts longer. However, it adds extra weight and can be a bit slippery. This one is another great portable knife sharpener. The DMT F70F is a lightweight fold away fine diamond sharpening stone. It measures just 3.5 inches long. Its unique diamond surface lets you easily sharpen the knife using dry or with water. The diamond surface allows much faster and effective sharpening than normal sharpening stones. It can be used for sharpening gardening tools and the equipment, which makes it universal and mores suited for outdoor activities such as fishing and hunting. It is made very solid and strong with sturdy feeling. Due to the use of high quality materials this sharpener can last very long. The Yoyal Folding 360/600 Grit is adiamond-electroplate surface knife sharpener. It weighs2.9 oz and it is 12.5 cm long, which makes is on a heavy and bulky side. However its unique surface increases the efficiency of each strike. Despite being large the folding handle allows you to comfortably hold this sharpener. It has a double sided design with coarse side for grinding and soft side for fine edging. Due to butterfly knife style, this sharpener becomes easy to store and carry around. This sharpener is very well made and suitable for sharpening any type of knives. The last item for this review is SOG SH03-CP. It is an innovative design as it combines two important tools, which are fire starter and a knife sharpener. 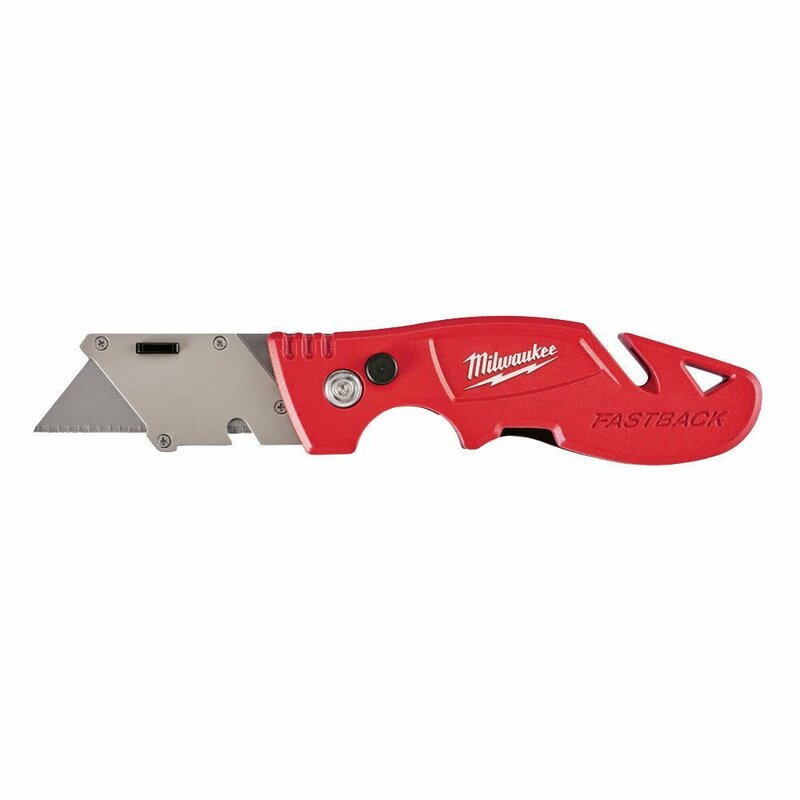 It is a lightweight and portable multi-tool suitable for camping and hiking. A diamond shaped sharpening surface works well with small and large blades and cylindrical ceramic sharpening rod provides a precise sharpening and grinding. The handle is made from glass-reinforced nylon material with a textured thumb groove which makes it easier to hold and it is super strong and resistant. Due to its lightweight and small size it can easily be attached to a key-chain and stored in your pocket or in a backpack. This is a very strong and useful device which can come in handy in many different situations. To sum up, there are many great and unique pocket knife sharpeners. Whether it is for outdoor activities, for sports or for field work anyone can find the type that they are looking for. There are some that are larger while other are compact and there are ones that have several functions. Above five knife sharpeners are just some great examples of those knife sharpeners. They are all well priced and perform great. Regardless which one you choose you won’t go wrong, since all worth the money you are paying for them. A stud finder is a handheld device used with wood buildings to locate framing studs located behind the final walling surface. They are also called stud detector or stud sensor. We all leave in places where we have walls. Walls can be used for hanging pictures or bookshelves. This way we will be able to properly utilize the area available and populate usually empty walls with many things. There are however, some issues with hanging the things on the wall. All walls feature some empty space inside them. This is done for the purpose of either making the wall lighter, for cabling purposes or just to save the cost. There is a part of the wall that is strong and it features the wooden skeleton. This skeleton is what is called stud. The purpose of the stud finder is to locate the strong wooden skeleton in the wall so that we can hand our things on the wall. When we do not use stud finder, we might drill in the empty space and nail things on weak areas of the wall. If that happens, probably the thing that we hang on the wall will not be strong and will probably fall down and break. Many people will think that they do not need stud finder to hang a picture frame or a wall shelf. They might be right. For someone who is rarely drilling holes in the walls or hanging something on it, stud finder will not be useful all at. So, who are the ones that will need stud finders? They are those who often work with walls. Mostly construction workers, electricians and furniture delivery and installation personnel. Those people will definitely need the stud finder. For people like these or just those who want to have a stud finder in their houses, we feature a list of best five stud finders. 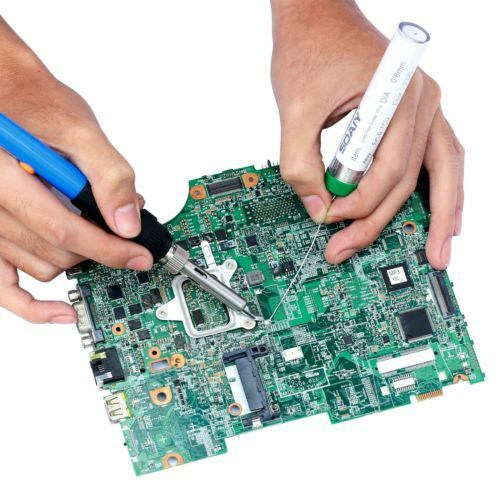 However, before we move to that list it is important that we discuss how stud finders work and what main types of stud finders available out there. This is the simplest and cheapest magnetic stud finder in this list. Despite that it is a professional and multi-functional center-finding unit that is capable to scan depth up to 1 inches. It is a small and compact device which easily fits in pocket. It has powerful magnets allow easy identification and marking the stud are. This is a magnetic stud finder so it does not require any batteries to use. This makes it easy to use at any weather conditions such as rain or extreme colds. Because of its compact design and the comfortable grip, it can fit inside almost any pockets. The magnets even allow hands free use. Due to the low cost and simple use many people can buy this and keep it inside their toolboxes. This stud finder is recommended for normal people who rarely need to use stud finder. Unlike a simple stud finder featured above, this is totally opposite. This is a professional unit made for professional use. It uses Advanced Multi-Sense Technology, which allows this unit to scan multiple locations of the wall. Its bright LEDs lights illuminate when there are some hidden objects on the wall. This makes it very easy and simple to identify where all the studs are located. It can also display the width of the hidden objects on the walls. The sensor can sense up to 1.5 inches inside the wall. The user can identify position and size of the objects inside the wall. Not to mention that this unit can identify several studs at the same that are located close to each other. In terms of precision this unit is one of the best. However, there are two main issues with this unit. First of all, it has no LCD display. It uses LED lights to tell the readings of the sensors, however this might not be enough for many people. Second issues is the price. At this price point there are many other units with better functions. This unite suits those who have long experience working with walls and can easily tell what the LED light are indicating. For those who just started using stud finders or new at working with wall, this is not a best choice, as the readings will not be sufficient regardless how accurate the sensors are. The StudSensor e50 is an edge finding stud finder. It can quickly and easily locate where are the edges of stud is located and also locate all the metal objects inside the walls. This stud finder can be used with floors and ceilings as well as walls. This scanner features two modes for scanning different surface materials. It features an LCD display where it displays the readings from the sensors. It is simple and easy to read. This finder features a SpotLite Pointer feature, it shines a light shaped like an arrow for marking the studs. This finder can locate the wires that can be damaged when working with the wall. The scanner can scan up to two inches inside the wall. The design for this stud finder is very comfortable to hold as the lower part is slimmer than the upper portion. The display is located at the upper side of the scanner. This is a slightly larger device and might be difficult to put inside any pockets. However, most people will keep it inside a toolbox. This is a great device at a great cost, which both professionals and newbies will enjoy. This one is Zircons more advanced stud finder. It has similar functions as the above one. However, the design and screens have been improved and some new functions were added. It is a multi-surface scanner with 4 modes unlike two one the model before. Because of that it can detect studs, metal and live electrical wires. This reduces the risk of damaging the wiring in the house or getting hurt by electricity. It can easily identify the center of the stud and tell if any metal there so that the user can use appropriate tools. StudScan and DeepScan modes can locate the wood or metal studs and show their edges and the center for those studs. Metal Scan can identify any metals available inside the wall and AC Scan helps identify live wires inside the wall. When the wire is located the finder indicates WireWarning Detection for safety. This model also can correct some errors made by users such as when they start on the stud and not the empty place of the wall. The SpotLife technology is also present and it display where the target is. The device uses 9V batteries. The design has improved and now it is more ergonomic to use by people with both small and large hands. This stud is just best all-rounder. Bosch GMS120 is a great scanner from Bosch. It also features multi-mode detection. It can detect many objects inside the wall, such as wood and metal studs, rebar, metal pipes and live wiring. It uses three sensor technology. It can scan up to 121mm inside any walls even concrete walls. It uses automatic calibration, which makes it much more convenient to use. Illuminated graphical LCD display can indicate modes, signal strength, material detected and show if any wire is present. The scanner features detection signal that can be on or off. This is very good device at a great price and it provides many functions. It is also very easy to use that even first time users can easily use this item. When there were no stud finders, people used mainly two techniques to find the stud. First of them is to nail a small nail on the wall until you find the stud. This method is fast, but it will damage the wall. That is why many people started using a magnet for the purpose of finding the studs. Magnet can locate the nails nailed on the stud and ultimately show where the stud is located. This method did not damage the wall, but the whole process was so slow it might take hours to finish finding the studs. Those two methods were later replaced by a stud finder. We live in the world where we need effective and efficient ways of doing things. Stud finders save a lot of time and they are more accurate than the two methods used before. This means no more damage to the wall by wrongly drilled hole or a nail. First stud finders featured a magnet to find the studs. Later they were replaced by electronic stud finders. They give an accurate view into the wall and show exactly where is the stud. They are using changes in capacitance to sense where the stud is. The stud will have different capacitance than the empty area of the wall. When we place the electronic stud finder on the wall, it will read what is the capacitance or density of the wall. When it notices that the density is high and that there is a stud it reports through the screen to the user. What are the main types of stud finders? There are mainly two types of stud finders- magnetic stud detectors and electric stud finders. In recent years there have been some development in this field and some new products have surfaced. They use sonar and 3D scanning to identify the location of the studs. They are extremely accurate but came at high costs than normal stud finders. Magnetic stud detectors use magnets to locate metal in the walling material. Magnets are sensitive to metal, especially iron used as nails. When we place a magnet on top of a wall and if there is something made of metal inside it will get attracted to that metal. This stud finders can get the job done, however they are not as accurate as they seem to be. Sometimes nails on the wall can be put wrongly and stud finder will show that area or the stud might feature non-conductive metals. There many cases where this type might not work as well as electric ones. There are two main types of magnet stud finders a stationary and moving magnets. Stationary magnet stud detectors use a small stationary magnet to detect the metals inside the walls. The user will move this magnet on the wall and based on the attraction strength of that magnet identify where are the studs. This methods heavily rely on the user, as he has to decide based on what he feels is the right spot. Moving magnet stud detectors use a neodymium magnet that is suspended in an enclosure and free to move in response to hidden metal. This unique magnet has different strength than the normal magnet and it is better at identifying things inside the wall. This magnet also allows the stud finder be used at many different kinds of surfaces. Electronic stud finders rely on sensors that detect changes in the dielectric constant of the wall. When the stud finder is placed on the stud it notices that dielectric constant of the wall have changed. Usually, this will be indicted by lower dielectric constant. When the readings are right the finder will let the user know by showing it on the screen and by sound. Since this method relies on sensors rather than a magnet, it can identify other elements inside the wall such as power lines or internet lines and so on. Electronic stud finders currently come in three types, which are edge finders, center finders, and instant finders. Edge finders are the most basic internal capacitor detectors. They utilize only one sensor for the purpose of identifying the studs. To use this stud finder a user must start at the empty part of the wall and then move around until edges of the stud are found. That is why they are called edge finders. After the edges of each stud is found then a user can find the center of the stud. Center stud finders detect the center of the stud by using two sensors that register separate readings of the wall’s dielectric constant. Several readings are generated from the sensors and when they match it indicates that there is a stud. And lastly instant stud finders. They are very recent innovations. They use several sensor and do not need to be moved around the wall to find studs. The sensors will find and show the studs with their sizes and widths. This type is the most advanced and has many uses. There are many great stud finders available out there. They feature many unique functions and can be used by professionals and newbies. ProSensor 710 is the best for professionals. CH Hanson 03040 is the best magnetic stud finder and it is the cheapest on our list. 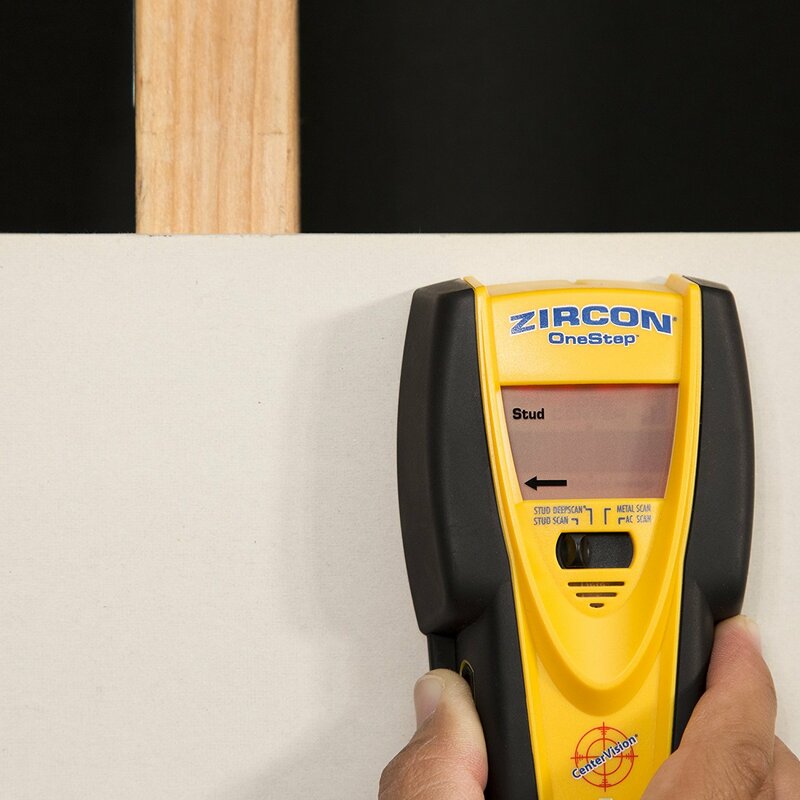 Zircon StudSensor e50-FFP is also great device and especially good for those who just want to learn how to use a stud finder. Zircon MultiScanner i520-FFP and Bosch GMS120 are both great stud finders with great modes and informative display. They are just best price for performance models. Its compact, comfortable to use and will detect fish and water depth in fresh and salt water environments. Also its built in sensor is designed to shut off automatically when it is out of the water to conserve battery. It comes with LED back-lighting for night time use. However it is difficult to see when wearing sunglasses and it doesn’t work well in choppy waters. Built for versatility fish finder can be fixed to your boat, float in the water, poll mounted or even placed beneath the ice for fish monitoring. It can detect weed, sand and rocks along the sea bed. It shows depth in meter or feet and offers adjustable sensetivity. But its receiver isn’t water resistant. This fish finder has the clearest on screen image on a below 100$ device. It can accurately identify fish and has 20 degrees conical coverage range. It offers two sonar frequencies to chose from however it can only be used at speeds below 10 mph. It doesn’t work well in murky water. It uses a very high frequency SONAR for clearer picture of underwater environment. It features a helpful rewind history feature which can be used to scroll back imagery to identify areas with a lot of fish that may have been missed. It displays boat speed data and comes with a tilt-swivel mount and has a split screen viewing. Low cost hand held model that can read bottoms and identify fish up to 240 feet. It has a handy fish locator alarm so that you don’t have to spend most of your time watching the screen or risk missing a potential catch. It features rock and weed indicator and an easy to navigate interface however its screen is black and white. It has an all weather display screen, so it can be taken to the roughest seas. It creates photo like images of the underwater. It can stream its data to a smartphone. It also comes with US lake and coastal maps. It uses down vision and standard SONAR. One of the best fish finders in the market which can be used from a boat or cast from shore up to 330 feet away to any area where you want to map the bottom or scan for fish. It also can transmit its data to a smartphone. It’s small enough to fit inside a tackle box and its battery last for six hours. It’s easy to identify onscreen images on this device. A convenient micro sd card slot is built for storing extra maps and way points. It also features a very bright display making it easy to view in the middle of the day. It sports a 5-inch display which makes it easy to watch the images in great detail. It has a four thousand watt ptp power output, a water temperature alarm and a 180 degrees underwater perspective. It’s a good choice for a small boat. It doesn’t take too much space in the instrument panel and still features a full color 3.5-inch display. Its built in GPS makes it easy to mark your favorite locations. It comes in a budget friendly price and promises a simple keypad operation. It comes with a chirp SONAR transducer. Featured an icon driven full colored touch screen and a really fast processor. It also comes with wireless connectivity for easy map downloads and an intuitive keypad operation when water conditions get rough. It includes internal GPS antenna. It’s compatible with nmea 2000 devices and support auto-pilot control. Most of the time, this fish finder is used to get much quick results. At the end, it is your decision which one to select. Sometimes, your budget is tight or you consider a size, or you consider a color. However, these top ten fish finder will get you right results in your lovely hobby. In my opinion, the best archer chooses the best bow only. Who doesn’t agree with me? Probably few. 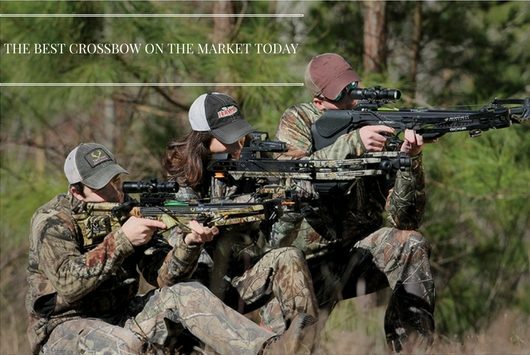 Surely, the best crossbow costs higher but its quality is the most promising and never fails on you. An impressive compound bow which has an adjustable draw weight of 45-55 lbs, and a draw length of 27-29”. Once you’ve pulled its string for about two-thirds back, the draw weight is lessened allowing for a better aim. As you release the arrow, instead of “blasting off forward” and momentarily causing its shaft to buckle; this compound bow is designed to increase thrust making it more maneuverable. The 55-lb Black Archery Hunting Compound Bow, with its classic, and sturdy design is absolutely great for beginners. Take about 20 minutes for its assemblage, and you’re good to go playing archer! The best feature of this crossbow is its ambidextrous riser- this allows for an easy change of bows. This Barnett Outdoors also features visually-enhanced cams. This lightweight (6 lbs) bow, with a 25 lb draw weight is best for beginners. This recurve-style crossbow, with a fully dipped camo pattern, is very lightweight and especially good as a practicing tool for novices. It weighs around 4.8 lbs and measures 34.5 inches in length. It is installed with an anti-dry fire trigger mechanism and an additional thumb guard. It has a 175 lb draw weight and is capable of reaching 235 fps. At 315 fps, and a 150-lb draw weight, this military-designed crossbow gained the attention of the archers’ community. The Barnett Jackal combines its quad limbs, cable system, and high-energy wheels to easily reach the abovementioned arrow speed. Exhibiting a top-level performance with a draw weight of 185 lbs, and an arrow speed of 365 fps, this bow definitely belongs to this list. Its lightweight and compact design are intended to provide users, especially beginners, with ease in handling this bow. The Buck Commander’s “Real Tree” pattern gives users the benefit of blending in their surroundings. The Excalibur Matrix Grizzly is definitely a great find! It has the performance expected of the Excalibur series, with a very reasonable price. Its sturdy frame provides for stable and powerful draws. It’s the best choice for teens and adults seeking the hunters’ life. It displays a mossy oak pattern which gives it a professional appearance. It weighs 5.5 lbs and has a 200-lb draw weight. The Matrix Grizzly’s slight drawback is the fact that its rails were not made up of aluminum – but surely, with its impressive features, that one’s covered. If you seek the best value for your money, this one’s the right for you. The Wicked Ridge Invader G3 won the Petersen’s Hunting Best Value Award. Being at the 400-dollar mark it does not sacrifice anything – from its maneuverable lightweight design to its speed that reaches up to 330 fps. If you’re a hunter who finds games at confined areas or cramped hunting blinds, this Venom Crossbow developed by TenPoint is the perfect match for you. It exhibits a stylish and compact design while retaining its fast speed (372 fps). Plus, it comes with an ACU50 ensuring a smooth draw performance. This compactly designed lightweight compound crossbow is the best of its type garnering a 9.6 (out of 10) rating at Pick A Bow, and a 4 1/2 stars satisfaction rate by customers at Amazon. Its sleek all-black design catches any onlookers at the site. It’s best for beginners with its added automatic safety switch which makes misfires almost impossible even for the novice. Added to its already impressive features is its anti-frying device which ensures the accuracy and performance of this bow to last. The Barnett Ghost 410 can go as fast as 410 fps, with just a draw weight of 185 lbs. Given a 9.7 (out of 10) by Pick A Bow, and a perfect 5-star customers’ review rating on Amazon.com, the Matrix Mega 405 is the bow for you if you’re into a large, and exciting hunt. This re-curve bow is powerfully designed for well-experienced hunters. The bow’s well-balanced sturdy construction ensures maneuver-dependent accurate shots giving you a smooth hunting game. Its only drawback is its 290 lb draw weight, which is not much of a disadvantage when you think of its heavy draw as a safety feature. This Excalibur Matrix Mega 405 is the fastest (405 fps), most powerful, and most quiet re-curve bow in the market, making it the best choice for real hunters. Each bow has its own set of drawbacks and key impressive features. When choosing the right bow for yourself, make sure to properly consider the things that you can and can’t compromise. At the end of the day, it’s your satisfaction that matters.